Mads operates at Treat Systems as Chief Executive Officer (CEO). With his education as an engineer specializing in health technology and medical systems, Mads has an excellent clinical understanding of most relevant topics, including clinical microbiology and infectious diseases. Mads focus on company management including all daily operations, finances, human resources, marketing, strategic partnerships, and contracting. Mads also has strong innovation responsibilities and takes part of the product development of TREAT Steward. 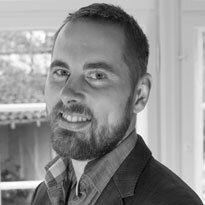 Before joining Treat Systems Mads was employed at Aalborg University where was awarded his Ph.D. in 2011. Mads has participated in writing 12 scientific publications in various international peer-reviewed journals. 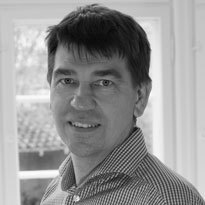 Knud is the CTO of Treat Systems and operates as our customer-oriented supply project manager focusing on the implementation and technical solutions. 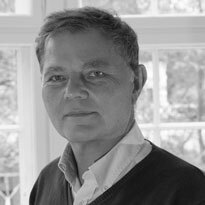 Knud has more than 25 years of extensive managerial experience in the provision of healthcare technology products and solutions for the healthcare sector, both nationally and internationally. In the daily development of Treat Systems, Knud operates as Product owner and actively participates in the prioritizing and specification of tasks. Tommy works as a software developer at Treat Systems. Through his vocational bachelors degree in software development and experience working at Treat Systems and other companies. Tommy has developed a keen understanding of the underlying codebase in TREAT Steward. Tommy is responsible for maintenance and new development of all TREAT software. 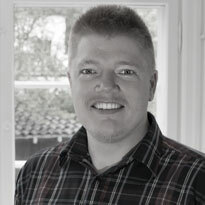 Steen is the Chief Scientific Officer (CSO) of Treat Systems. In addition to his role as CSO of Treat Systems Steen has, since 1986, led research work on a number of medical decision support systems at Aalborg University, all of which have reached the stage of clinical trials. Each system is based on physiological models and decision support. He has been a systems architect for Munin, a system for the diagnosis of neuromuscular diseases, and for DIAS and Glucosafe, systems for advice on insulin dose adjustments in diabetic patients and intensive care patients. Moreover, Steen was the coordinator of a four-year EU-funded project to develop the foundation of TREAT together with Prof. Leonard Leiboivici and Prof. Mical Paul from Tel Aviv University. 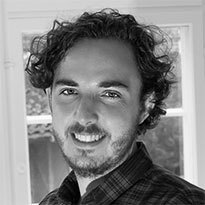 Logan is employed as a post-doctoral researcher, having completed his PhD at Aalborg University in 2016. Through the course of his PhD project, Logan developed models for risk-assessment of patients suspected of sepsis. His current role focuses on the further development of these models and their integration within the TREAT family of products.